Kids will love greeting their tiny magical friends with this fairy welcoming kit. 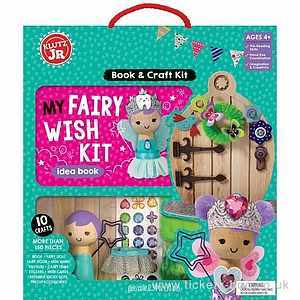 Complete with ten projects and special instructions on how to summon a visit from their favourite fairy while theyre sleeping, this kit is essential to giving your child a boost of confidence. 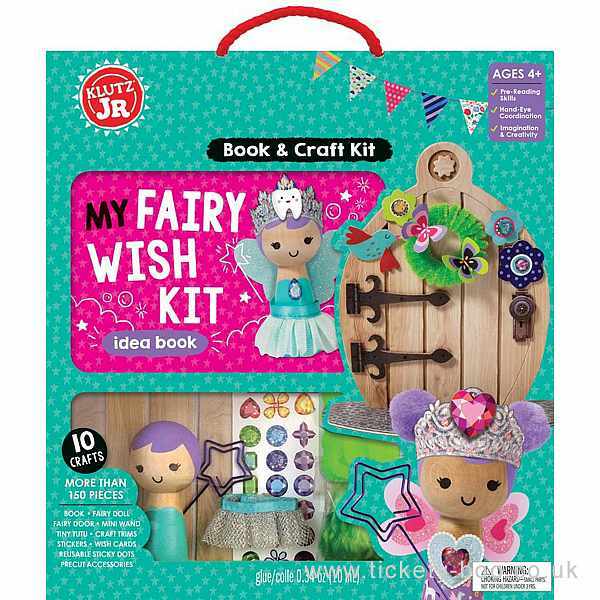 Whether theyre looking for a tooth fairy to help them when theyve lost a tooth or a brave fairy to give them courage when theyre afraid, this kit will make all of their wishes come true. Kids can decorate a fairy door, dress up a special fairy doll, craft a wand, and more, to turn the experience into the perfect fairy tale. This set includes a 28 page book, wooden fairy doll, fairy door, mini fairy wand, fairy tutu. chenille trim, craft floss, 2 garland stands, over 70 punch-out pieces, chenille pom-poms, sticky Dots and foiled jewel stickers.